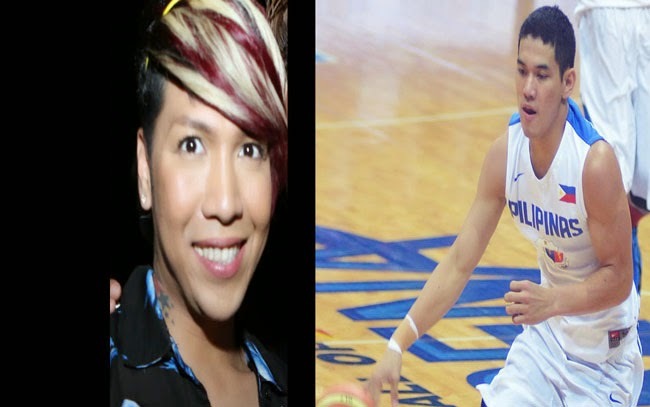 Kevin Alas finally clarifies his relationship with the Praybeyt Benjamin star Vice Ganda and denies any romantic relationship between them. The PBA player under Talk n Text said that he is only friends with the Its Showtime host. Alas shared that the conversation was a group message which also includes their other friends Garvo, Woody, Borgy, Marcelo, Bernard and Dave. He was teasing Bimby in the voice messages which the boy answered. He also said that even ‘Gabo’ was sending messages to tease Bimby but it was only Alas whom the boy remembered. The rumor started to ablaze on December 21, when Kris Aquino’s youngest son, Bimby Aquino-Yap, loudly asked Vice Ganda if ‘Kevin’ is his boyfriend during the live telecast of The Buzz. Good friends, Vice Ganda, Toni Gonzaga, Kris Aquino and Boy Abunda went speechless after the question came from the innocent child. The audience cheered and laughed at Bimby’s innocent question which put the comedian in the hot seat. Before te question was voiced out, Vice shared how Bimby had been raised well by Aquino despite being a single mother. After the short interrogation of the child, he said that Bimby is like his mother. He even joked that being friends with Kris and Bimby was not great at all. Kris asked her son to go down the stage and jokingly shared that it was the reason why the interview should have been taped instead. Vice then shared that Bimby loves to play with the comedian’s phone and accidentally found Kevin Alas’ voice messages in his chat app. Bimby even answered the messages and seemed to have found the conversation amusing. He said that Kevin Alas is only a friend. Alas was once linked with Cristine Reyes who is now expecting a baby with her MMA fighter boyfriend, Ali Khatibi.